A clean-sheet wing, more power, touchscreen avionics and stylish interior enhancements lift Piper’s latest incarnation of the classic PA-46 to new heights. They say that when one door closes, another opens. The trick is to stop looking at the closed door long enough to see which door is ajar. For Piper, the closed door was the abortive Altaire single-engine jet, an airplane many likened to a mini DC-10 with its Williams turbofan engine integrated weirdly into the tail. The door that opened, meanwhile, was a new version of the Meridian turboprop, which Piper would end up naming the M600. In October 2011, with the aviation industry still reeling from the effects of the Great Recession, Piper’s new CEO, Simon Caldecott, announced the “indefinite suspension” of the Altaire jet despite the program essentially being on time and on budget. 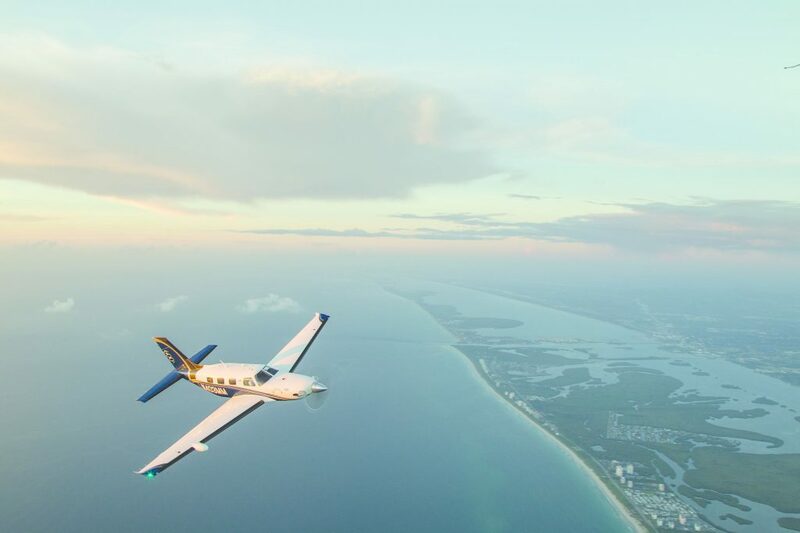 The market for very light jets appeared less certain than it had in the midst of the real-estate-bubble-fueled frenzy prior to 2008, and so the big question for Piper at the time was: What the heck do we do next? The answer turned out to be a further evolution of the Meridian turboprop single that would make it stand out against a backdrop of pricier turboprops and a new crop of light jets. To pull it off, four big changes were needed. The first, and the most important, entailed designing a new wing. Piper also decided to add the latest Garmin touchscreen avionics, boost the new model’s flat-rated horsepower and improve the interior. Piper took some of what it learned from the Altaire program and applied it to the design and manufacturing of the M600. This latest iteration of the PA-46 now features a clean-sheet wing, Garmin G3000 avionics, an extra 100 shp compared with the M500, and stylish interior enhancements that elevate the airplane well above the original Malibu Meridian introduced to the market almost 20 years ago. The changes also now put the M600 in rarefied territory within striking distance of some pricier turbine options. The M600’s new wing isn’t the same as the Altaire’s, but Piper engineers who were involved in the jet program applied their experience with wing design to the latest PA-46 model. Piper started the process in late 2011 by asking dealers and customers what they wanted from the Meridian. The consensus was that it needed to fly farther, carry more and go faster — and really, what else would they say? The hard numbers many asked for included a range boost to at least 1,000 nm, a payload of 800 pounds or better and a 250-knot vmo. 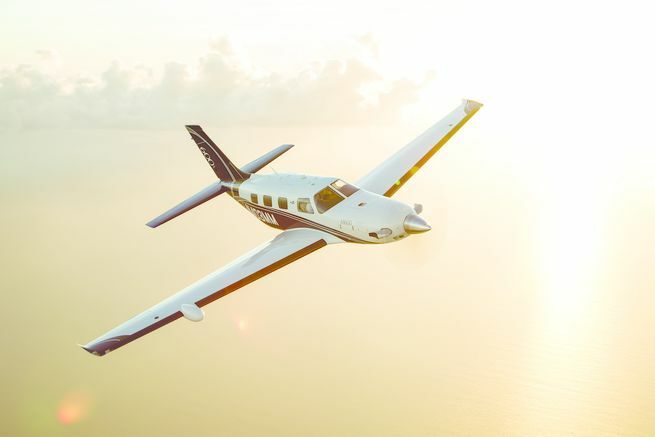 With the M600, Piper not only met those goals, it exceeded the parameters while also making other noteworthy improvements. Boosting the available power of the airplane’s Pratt & Whitney Canada PT6A-42A engine to 600 shp in the M600 helped to increase performance, but engineers knew that a limiting factor in achieving more dramatic improvements in payload and speed was the original PA-46 wing. Not only would a clean-sheet wing designed using new computer load analysis lead to performance improvements, a bigger wing could also hold more fuel — it turns out, the M600’s new wing carries an impressive 90 gallons more jet-A compared with the original. The extra fuel coupled with the improved wing translates to a welcomed increase in range, from 1,000 nm in the M500 to 1,484 nm in the M600 at its long-range cruise speed of 184 ktas (with a 45-minute reserve). At the M600’s max cruise speed of 274 ktas, range still stretches to more than 1,000 nm. Most impressive to me is the M600’s ability to carry 1,000 pounds worth of people and bags on 800 nm legs. Since there’s no option for an onboard lavatory, that’s about as far as most owners will want to travel before a pit stop, anyway. Read the rest at Flying Mag.